You may have heard about the "hands-free" cell phone bill that was introduced by the Minnesota legislature this year. Dozens of family members who have lost loved ones due to distracted driving from cell phones have been gathering at the state capital urging legislators to pass the measure. 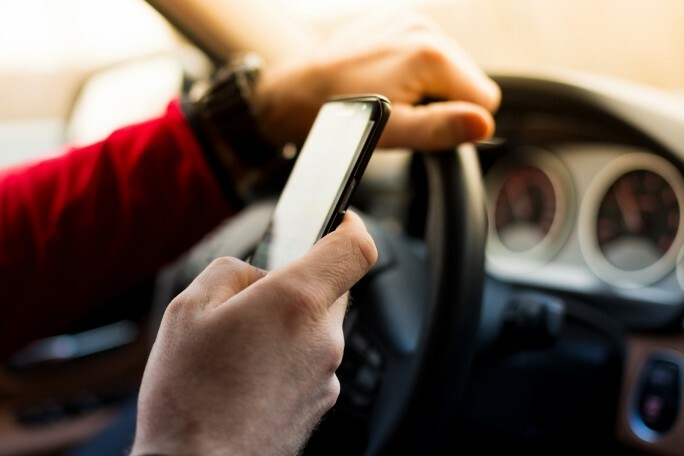 Although texting while driving is already illegal in Minnesota, the bill would make Minnesota the 17th state to expand such restrictions, banning drivers from any handling of cell phones or other electronic devices while operating a vehicle. In short, the bill would mandate that any phone usage by drivers must be completed through hands-free means, such as voice activated blue tooth. As of yesterday, however, the bill's author, Rep. Mark Uglem of Champlin, Minnesota, was told that his bill will not even get a vote. As a mother who lost a son to a drunk driver, I empathize with family members who have lost loved ones and are looking for a common-sense solution to the ever-growing problem of distracted driving. Minnesota State Troopers reported last year that 1 in 4 car crashes in the state were caused by a distracted driver. If you're anything like me, I am shocked by how many people I pass in traffic who are staring at their phones instead of at the road. It's common sense to me that if we have an opportunity to make our Minnesota roads safer by passing laws that will decrease distracted driving, we should. Car accidents are already scary and damaging but imagine how much more severe the injuries can be if one of these distracted drivers causes a car vs. bicycle accident, a car vs. motorcycle crash, or a car vs. pedestrian accident. As a personal injury attorney, I see the devastation caused by crashes all the time. I hear the exasperation in the voices of my clients when they have lost loved ones or have suffered an injury themselves and are tired of the endless doctors' visits, the ongoing physical therapy, and the financial pressures they experience due to missing work because of their injuries. I imagine that someone who severely injures another in a crash because they were distracted by their phone wish more than anything that they could go back in time and put that pesky pocket computer down for the length of a drive. Although the "hands-free" cell phone bill will not pass this year, we should all still take the time to pull over if we need to handle our cell phones while driving. If you must talk while driving, please use your car's Bluetooth capabilities or invest in a hands-free device. If you or someone you love has been injured in a car accident due to a distracted driver, contact us for a free case evaluation. At Lord + Heinlein, we are your powerful legal voice.